Sometimes, you don’t find something Forgotten — it has to find you. 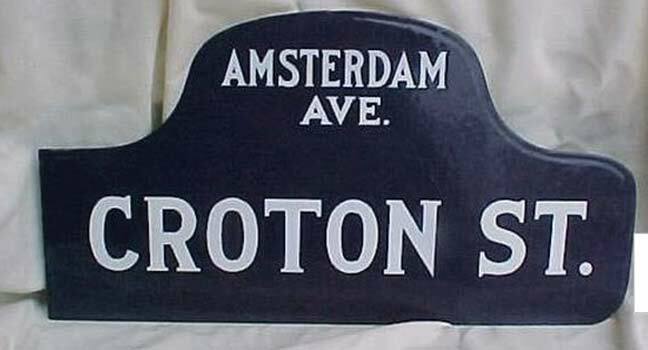 I was idly making my way through Facebook late tonight and I saw this enamel mid-20th Century sign that used to be at Amsterdam Avenue and a certain Croton Street. A quick trip to oldstreets.com filled me in that it was the old name of West 165th Street on the north side of McKenna Square, between Amsterdam and Audubon. 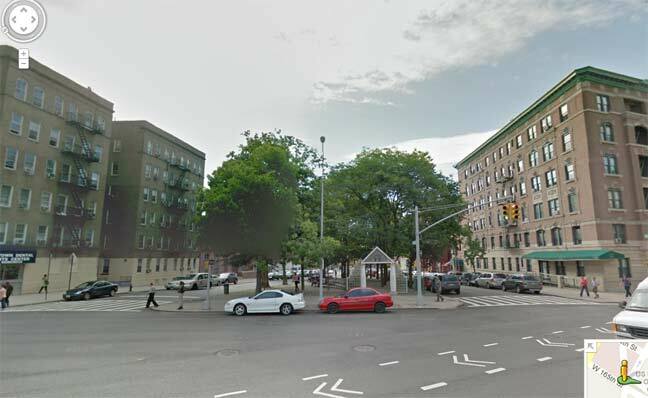 See, West 165th splits into two between those two Avenues, with the center known as McKenna Square after a local soldier who perished in World War I. Croton Street was apparently the West 165th on the left side of this picture from Google Street View. I have “Little Red Book” type Manhattan street guides from 1916 and 1941, and Croton Street is in neither, so it’s sort of a mystery street. So, Manhattan doesn’t have any streets named for the Croton Aqueduct or Reservoir at present. The Bronx has Crotona Avenue, Crotona Parkway and Aqueduct Avenue. Queens has some aqueduct-themed roads: North and South Conduit Avenues. Brooklyn has Conduit Boulevard and Force Tube Avenue. All those roads originated with the presence of Ridgewood Reservoir in Highland Park. Croton Street veered slightly off the grid on its one-block job. West of Broadway, W. 165th Street also takes a skew. Croton Street. (L19-E20). Formerly a block-long street between Amsterdam and Audubon Avenues, just north of West 165th Street. 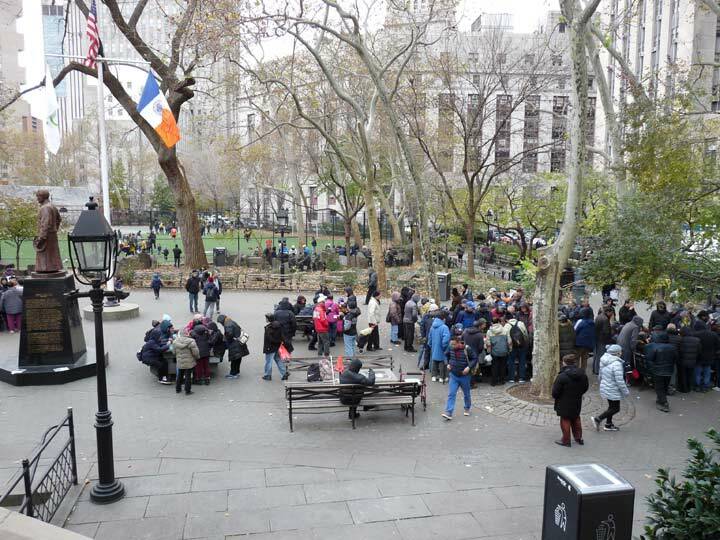 Part of its angled north street line is now the north side of McKenna Square. Listed by Post with no location given. If you travel to Florida on I-95 and stop at South of The Border (a motel complex) you will find these signs all over the property. I found a Bronx sign (Beach and Randall Ave, where I am from) there with many others. They must have purchased them when they were sold off for scrap. Great find for me! Pedro says, ‘You never sausage a sign’!